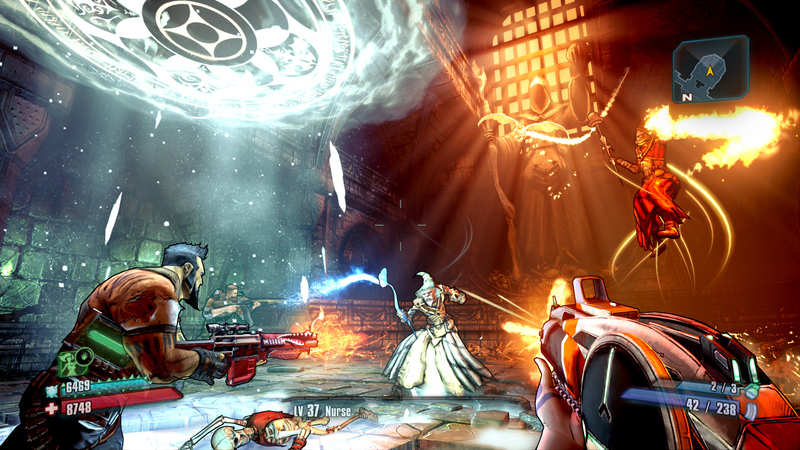 Borderlands 2's next DLC is the Dungeons and Dragons-themed adventure "Tiny Tina's Assault On Dragon Keep." 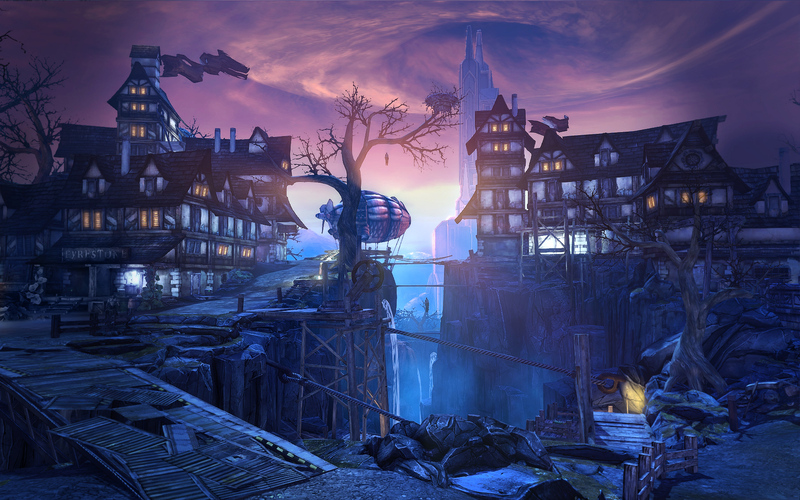 New assets from Gearbox provide an extensive look at this medieval fantasy journey. 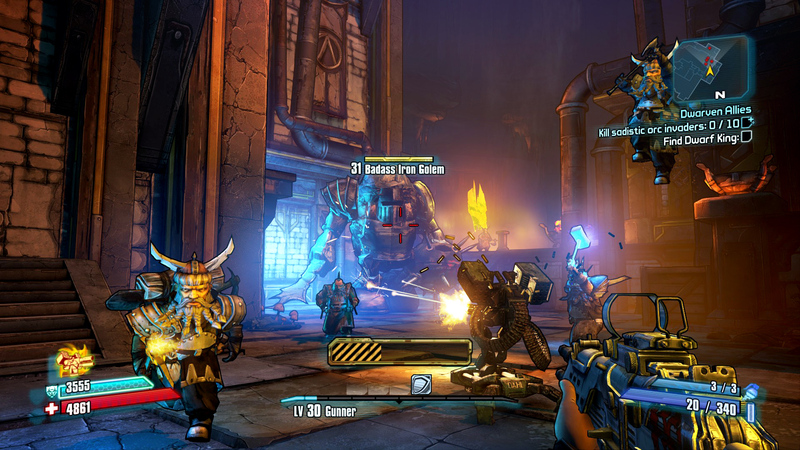 "Dragon Keep" is framed as a session of "Bunkers & Badasses," the Borderlands 2 equivalent of D&D. The Game Master for this session is Tiny Tina. She'll be acting as narrator while also altering the world at will. For example, at one point in the Rev3 walkthrough video she zaps Mr. Torgue out of existence. The new region featured in "Dragon" certainly has that D&D flavor to it. 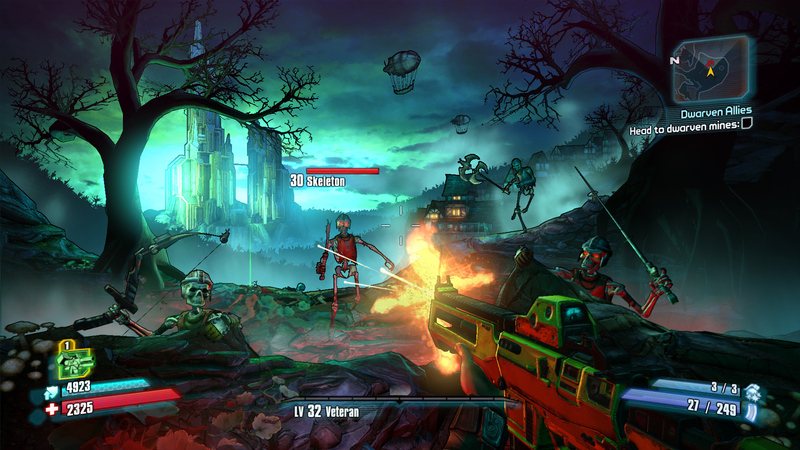 Players will battle skeletons, mages and more. 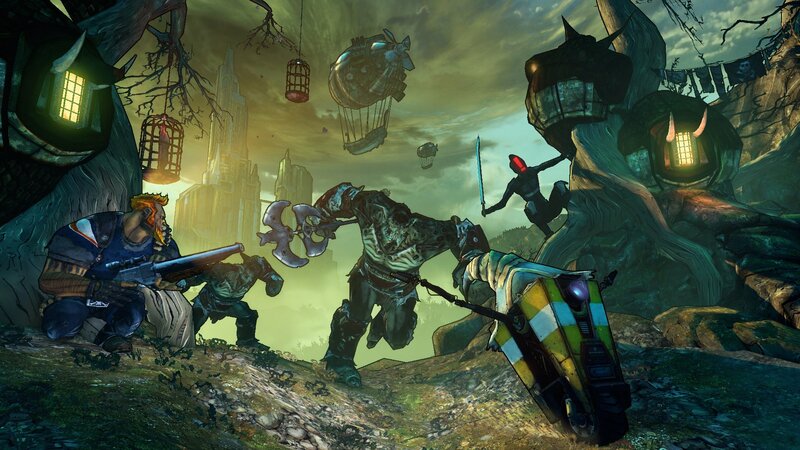 One of the quests seen in the screenshots shows the players rescuing a dwarf king from orcs. 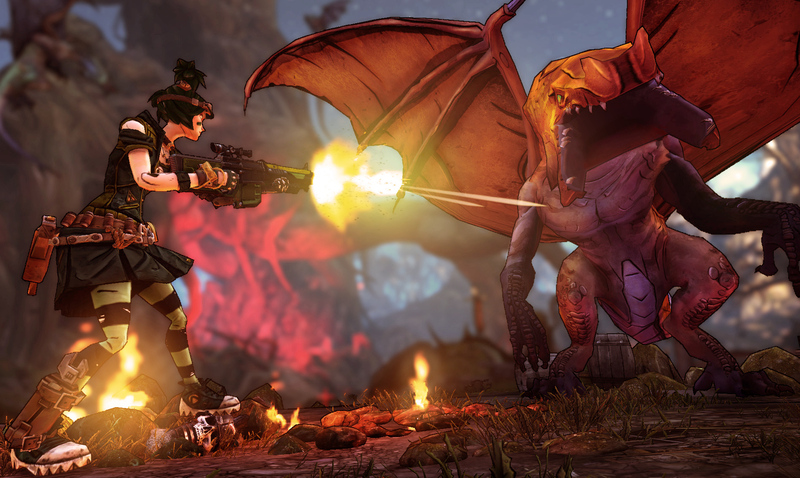 Gearbox plans to release "Dragon" on June 25th. 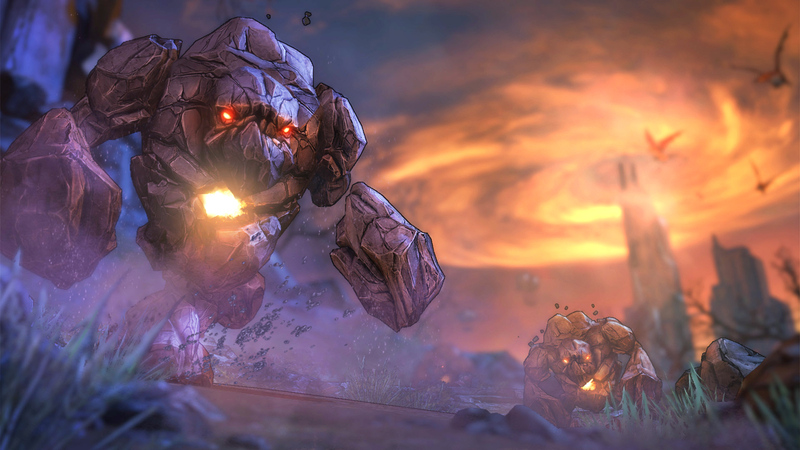 It's free if you've purchased the Borderlands 2 Season Pass. Otherwise, you'll need to pay $10.